<h2>Fleets of autonomous satellites to coordinate tasks among themselves</h2><br /><p>Technology firms and researchers see scope for giving satellites more onboard control, to circumvent difficulties in communicating with Earth and reduce the need for continuous hands-on supervision and intervention from afar. 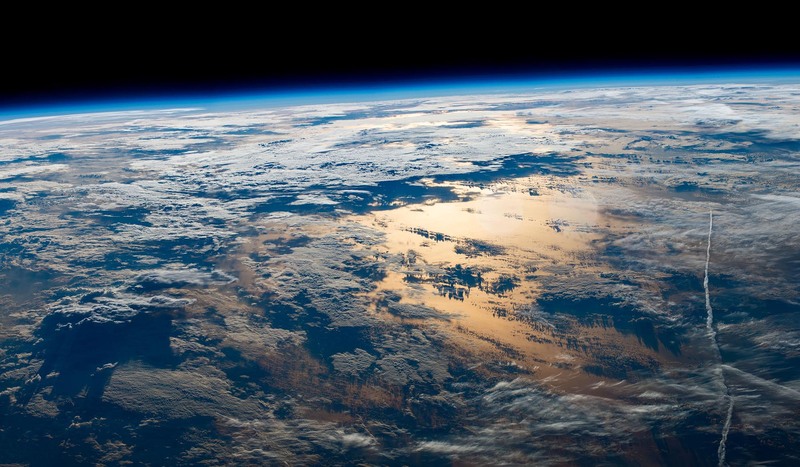 That will reduce operating costs and potentially allow them to do more sophisticated tasks independently of their Earth-bound supervisors.</p> <p>Smaller, autonomous spacecraft could close the gaps in coverage between much larger, more expensive telecommunications satellites, or be used in formations to monitor space weather or observe Earth from different perspectives simultaneously – such as three-dimensional real-time analysis of clouds or monitoring volcanic plumes.</p> <p>In doing so, they would be able to correct and maintain their trajectory, avoid collisions and supervise their on-board systems all on their own – all at a substantially lower operating cost.</p> <p>Professor Klaus Schilling, chair of robotics and telematics at Würzburg University in Germany, has been working on the technology for groups of small, autonomous satellites to fly in formation, communicating directly with each other to organise and coordinate tasks.&nbsp;Success would mark a world first.</p> <p><strong>Network</strong></p> <p>For the cost of a multi-tonne satellite, he sees the possibility to use groups of small satellites – even hundreds of them – to set up a sensor network. The fleet would need more advanced coordination and control, but would be able to provide better temporal and spatial resolution than one giant craft.</p> <p>While miniaturisation can present difficulties for satellites, such as susceptibility to noise in electronic circuits, sophisticated software can detect and correct these problems and cooperation between small spacecraft can also enhance their capabilities, Prof. Schilling says.</p> <p> <div class="quote-view quotesBlock quote_horizontal"> <div class="quotesTop"><img src="https://horizon-magazine.eu/sites/all/themes/horizon/images/quotes_top.png" alt="" title="" /></div> <p>‘For us it will be like having a laboratory in space.’</p> <blockquote><p>Prof. Klaus Schilling, Würzburg University, Germany</p></blockquote> <div class="quotesBottom"><img src="https://horizon-magazine.eu/sites/all/themes/horizon/images/quotes_bottom.png" alt="" title="" /></div> </div> </p> <p>‘This is even the case with a single satellite, but it becomes critical at the multi-satellite level, in the context of the formation,’ said Prof. Schilling, who also heads the German research firm the Centre for Telematics.</p> <p>His <a href="https://cordis.europa.eu/project/rcn/109748/factsheet/en" target="_blank" rel="noopener noreferrer">NetSat project</a> aims to launch four small satellites at the end of this year, to orbit the Earth and test formations with varying degrees of autonomy, with light-touch supervision from ground control.</p> <p>The satellites will be around 3 kilograms each – a mere fraction of the size of the biggest satellites – and will be placed in a low Earth orbit, about 600 kilometres above the surface.</p> <p>To date, Prof. Schilling and his team have used satellites already in orbit to develop and demonstrate systems for communication, positioning and orientation, and they are currently testing an electrical propulsion system for NetSat.</p> <p>The technology also incorporates two decades of learning from research into controlling formations of mobile robots, extending into three dimensions the swarm-like behaviour used to coordinate terrestrial rovers.</p> <p><img class="@alignleft@" title="Klaus Schilling with the German first pico-satellite (a satellite with 1 kg of mass), designed and realized by his team 2005. 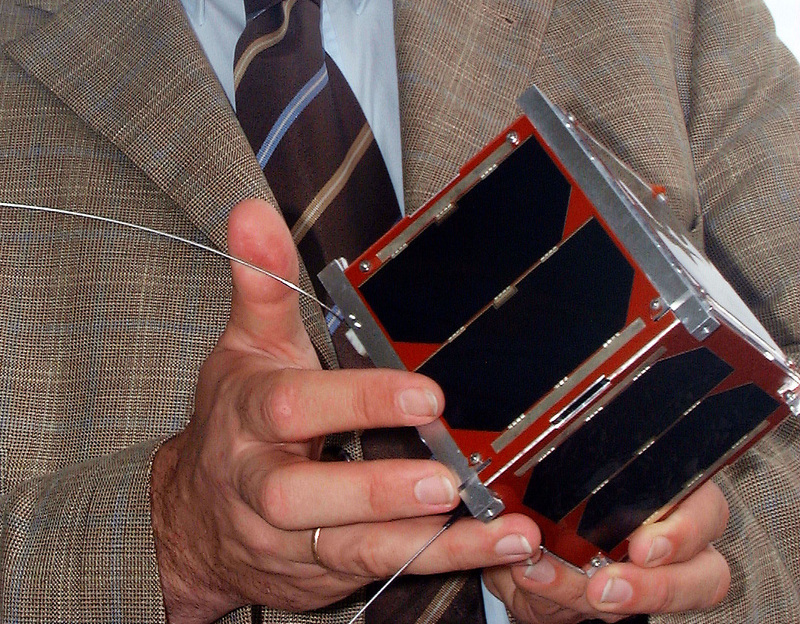 Image credit - University Würzburg" src="https://horizon-media.s3-eu-west-1.amazonaws.com/s3fs-public/IMCEUpload/uwe-schi_crop.jpg" alt="Klaus Schilling with the German first pico-satellite (a satellite with 1 kg of mass), designed and realized by his team 2005. Image credit - University Würzburg" width="1064" height="830" /></p> <p><strong>Coordinate</strong></p> <p>The NetSat spacecraft will be able to coordinate with each other over distances from about 100 kilometres down to 10 metres, as well as change their formation depending on the tasks they need to perform.</p> <p>‘For us it will be like having a laboratory in space, where we can do a lot of operation tests, a lot of control tests and a lot of sensor tests, which will help us for future missions,’ Prof. Schilling said.</p> <p>NetSat works by distributing computing power between satellites in a formation, but another approach under exploration is to use artificial intelligence (AI) to increase satellite autonomy.</p> <p>AI can make a satellite aware of its surroundings and decide autonomously when and how to carry out operational tasks, such as gathering images, analysing and processing them, and then selecting only the essential data for downloading to the Earth station.</p> <p>The aim could be to identify specific targets that can be monitored or tracked, perhaps a building or a ship or a vehicle on the surface of the Earth, or filtering out clouds to improve image quality.</p> <p>Such a satellite could also recognise new events that need monitoring or anomalies demanding action, says Dr Lorenzo Feruglio, founder and chief executive of Italian space-technology start-up AIKO, based in Turin.</p> <p>‘In a sense you need to detect the conditions and what is happening and then you react to those conditions autonomously, using AI rather than traditional algorithms,’ Dr Feruglio said.</p> <p>He leads a project called <a href="https://cordis.europa.eu/project/rcn/217634/factsheet/en" target="_blank" rel="noopener noreferrer">MiRAGE</a>, which is using AI tools such as deep learning to automate satellite operations.&nbsp;</p> <p><strong>Lower cost</strong></p> <p>Such smart, AI-based on-board systems ensure the spacecraft can complete its tasks without the delays involved in awaiting new instructions or decisions from ground control, which can then focus on critical issues rather than routine tasks – with sharply reduced staffing levels and at much lower cost.</p> <p>The MiRAGE software, some of which has its roots in the functionality demanded by drones or autonomous cars, will be launched as an on-board experiment on a small satellite in the last quarter of this year, with a view to being rolled out on larger spacecraft in future. One of the aims is to demonstrate the adaptability of AI to different tasks and mission objectives – including the possibility of deep space exploration.</p> <p>‘In general, AI and deep learning are proving their worth in many different industries and the benefits (for space missions) are way from being fully explored yet,’ Dr Feruglio added.</p> <p><em>The research in this article was funded by the EU. If you liked this article, please consider sharing it on social media.</em></p> <br /> <img src=”http://www.google-analytics.com/collect?v=1&tid=UA-40077089-1&cid=fleets-of-autonomous-satellites-to-coordinate-tasks-among-themselves&t=event&ec=republish&ea=read&el=fleets-of-autonomous-satellites-to-coordinate-tasks-among-themselves&cs=republish&cm=republish&cn=republish&cm1=1" /> This post <a href="https://horizon-magazine.eu/article/fleets-autonomous-satellites-coordinate-tasks-among-themselves.html">Fleets of autonomous satellites to coordinate tasks among themselves</a> was originally published on <a href="https://horizon-magazine.eu/">Horizon: the EU Research &amp; Innovation magazine | European Commission</a>. ‘This is even the case with a single satellite, but it becomes critical at the multi-satellite level, in the context of the formation,’ said Prof. Schilling, who also heads the German research firm the Centre for Telematics.